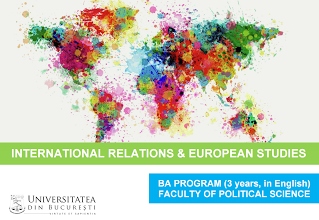 Friday, on the 30th of September, at 10:30, all 1st year students of the BA program in International Relations and European Studies are invited to a small welcome reception and orientation session, which will take place in our headquarters from 8, Spiru Haret st., Room P.P. Negulescu (groundfloor). On this occasion you will meet your program coordinator with whom you can discuss the first academic and administrative steps within the program. You will also receive your institutional mail accounts, which will help you have access to all the faculty’s resources, and you will be provided information about the national and international opportunities of internship, mobility for studying and volunteering. Complimentary tea and chocolate will be available to all participants.